Postpaid plans by Reliance Jio, Vodafone, Airtel and Idea offer varying benefits depending on the price range. Here is a comparison of all of these plans priced under Rs 1,000. There are a slew of prepaid recharge options to choose from but these options are slightly limited when we talk about postpaid plans. Majority of users want more bang for their buck, which now converts to more data and features, but there are only a handful of options that one can choose from when it comes to postpaid plans. The competing telecom operators also offer a free subscription to some additional services to entice customers. We have compared some of the best postpaid plans under Rs 1,000 to help you decide which ones best fit your needs. Do note that all of these postpaid plans offer unlimited voice calling and are valid for one bill cycle, which is usually one month. Most postpaid plans under this category are priced at Rs 399, except for the one offered by Reliance Jio. Jio’s plan is priced at Rs 199 and it offers a total of 25GB data for one bill cycle with a complimentary subscription to Jio’s suite of apps. After exhausting the daily data limit, one will be charged Rs 20 per GB. 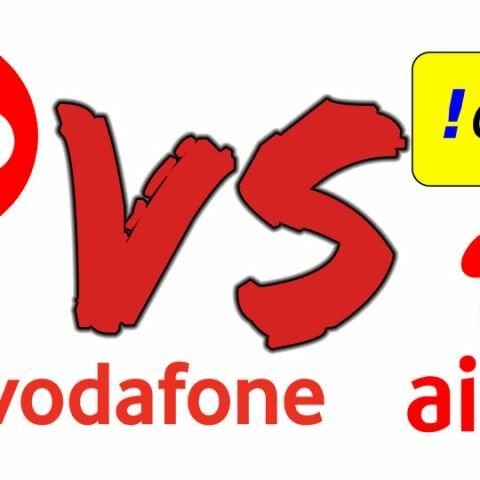 Coming to Vodafone and Idea, both offer the same benefits under their Rs 399 postpaid recharge. With the plan, one gets to avail 40GB data per month with a data rollover of up to 200GB. However, Vodafone customers will also be eligible for free Amazon Prime and Vodafone Play subscription for 12 months, along with coupons worth Rs 399. Idea subscribers get a free subscription to the Idea Movies and TV app and Idea Music app for 12 months. Coming to Airtel, the telco’s Rs 399 plan also offers 40GB of data with a rollover of up to 200GB. One will also get one year of Amazon Prime and subscription free with the pack, along with free access to shows and series on the VOD platform Zee5 and Airtel TV. While Jio has no other postpaid plan, all the other telcos offer more data and additional features at a higher price. Vodafone and Idea’s Rs 499 postpaid pack offers 75GB high-speed data with a data rollover of 200GB. The extra offers remain the same as previously mentioned, sans the addition of a free Device Protection plan and Idea Phone Secure for Vodafone and Idea subscribers respectively. Matching the price of this plan, Vodafone also offers free coupons that are worth Rs 499. Airtel also offers 75GB data with the same 200GB rollover option with its Rs 499 plan. However, alongside the aforementioned benefits, one will also get a free three month Netflix subscription, along with a free Handset protection plan. Coming to slightly higher priced options, both Vodafone and Idea have postpaid plans priced at Rs 999. Under both the packs, one will get to avail 100GB of data per month with a 200GB data rollover facility and add free 50 minutes for ISD calls. Vodafone also throws in a free two-month subscription of Netflix with this plan. Airtel has two postpaid plans falling under this price range, which are priced at Rs 649 and Rs 799. They offer 90 and 100GB of data respectively and alongside the previously mentioned benefits, the plans come with the option to add a free add-on connection with unlimited calls. Comparing the higher priced plans between the three telcos, it’s clear that Airtel offers better value for money proposition with its Rs 799 plan.